Welcome to our new sign up system. KVFSC has decided to utilize the entryeeze system for Membership registration. Membership in US Figure Skating, Including the right to compete, test and participate in sanctioned events and shows. Participation in monthly club sessions, social, and fundraising events. Opportunity to purchase or receive an official Club jacket. A person or person(s) interested in becoming a Full member(s) with Full Individual or Family membership benefits as stated in b) and c) below. 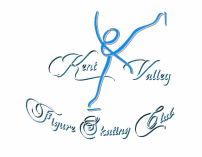 The Introductory membership is a special discounted rate only available to those becoming first time members of United States Figure Skating or are interested in upgrading an existing Basic Skills membership. The Introductory membership rate is only valid for the first year of membership, after which, will need to be renewed at regular renewal rates. Full Membership benefits including; but not limited to, access to all club events and information, voting rights (Adults 18+) and monetary reimbursements. Full Membership at a special discounted rate, shall have all privileges as stated in b) above. Associate membership provides access to all club information and activities. Associate members are not eligible to vote or receive monetary reimbursements of any kind. Those who may be conferred by the unanimous vote of the Board of Directors and who shall be exempt from initiation fees or dues.